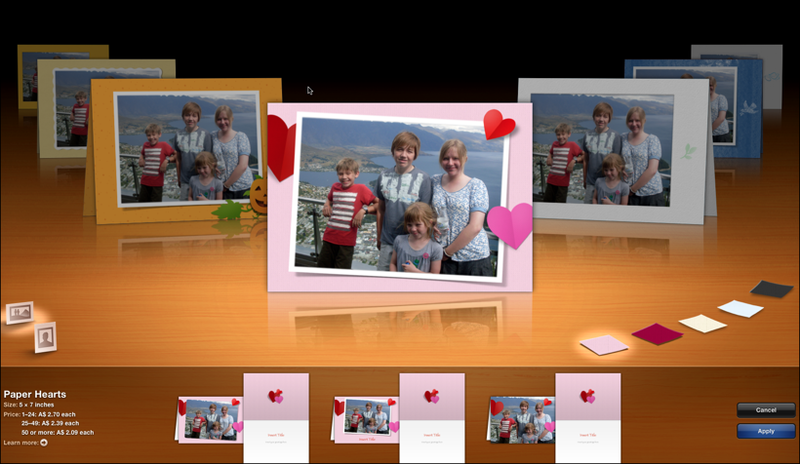 Macworld today has a do it yourself guide to making ‘high perceived value’ Mother’s Day cards using iPhoto11. You can print them yourself, or have Apple do it for you. You need to supply your own cold tea and soggy toast. 30th April 2014 Mediterranean Diet wins again! 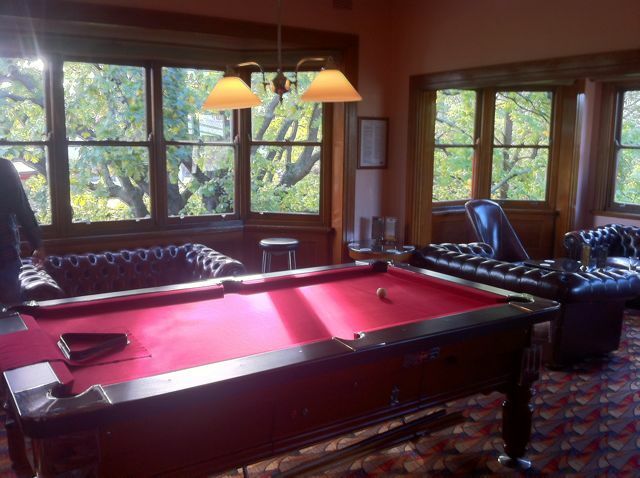 FactFinder at The Oaks – Australia’s Best Pool Hall? My mates Ged and Mul insist that we start every trip with a Fact Finder. 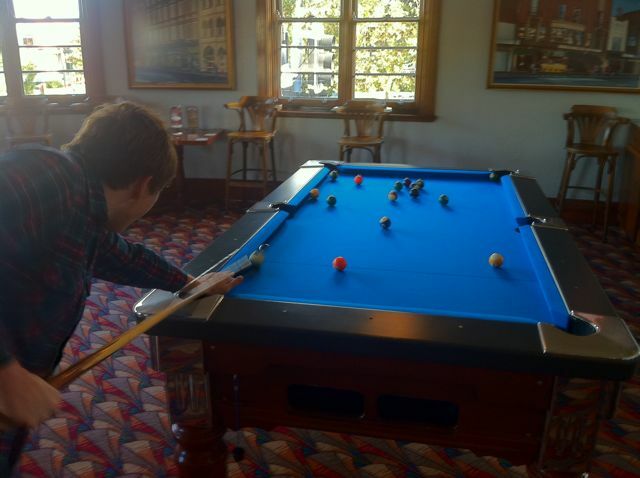 Given a couple of hours to kill this week, Oliver and I went to the The Oaks at Neutral Bay to maintain this tradition. 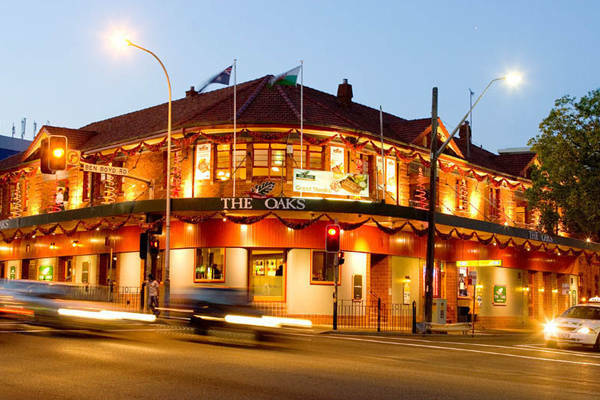 The Oaks Hotel has been a landmark on Military Rd since 1885, although the eponymous Oak Tree that now dominates the enormous beer garden was not planted until 1935. Kathleen Furlong, the daughter of the publican, received it as a free bonus from Anthony Horden’s Dept Store for spending more than 10 pounds in one purchase. 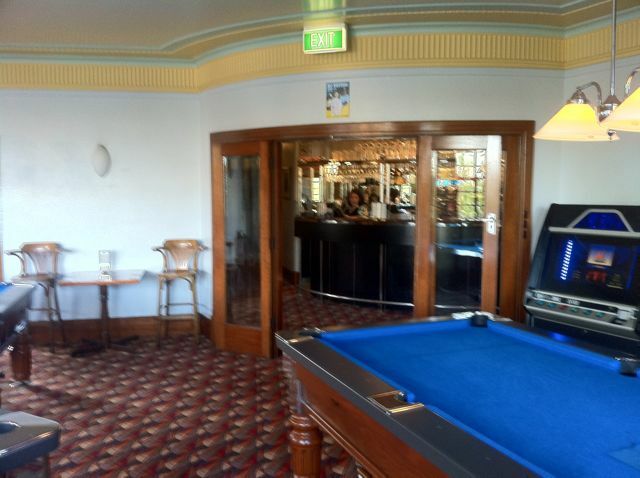 As Paul Kelly says, ‘From little things………’. Apparently it is good luck to be hit by a falling acorn. 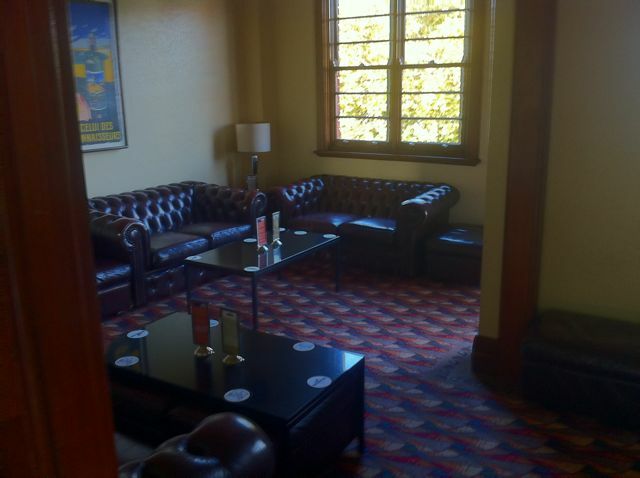 Upstairs we discovered a hidden gem. 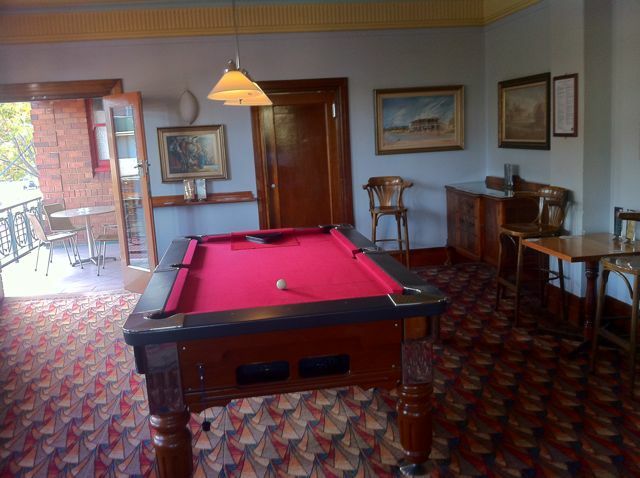 What would have previously been the accommodation floor has been renovated in 1930s style, with twelve restored rooms that each contain a pool table. 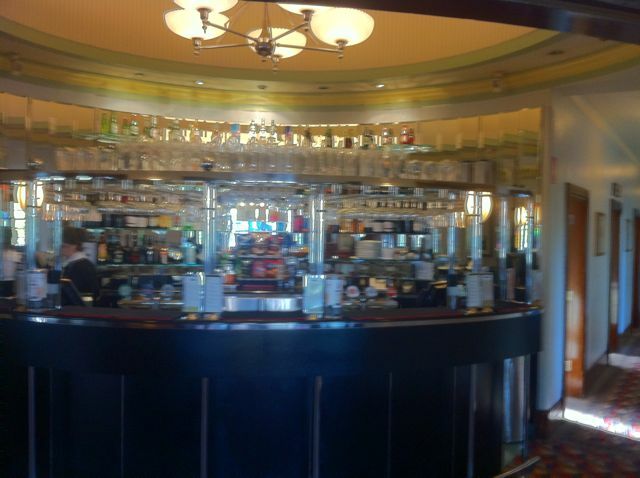 It is all serviced by a magnificent art deco bar. 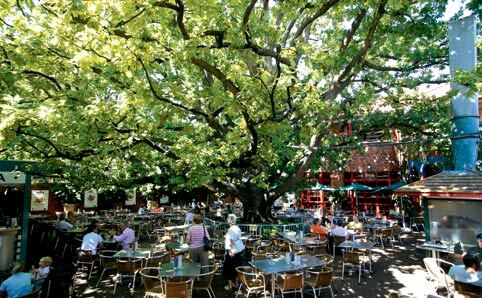 A perfect place for a quiet factfinder or two. 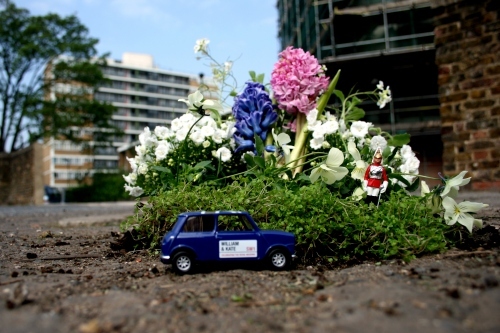 Guerilla Gardeners have declared war on the urban landscape. In disguise, under cover, armed with specialised equipment, they are laying un-waste to desolate plots and barren corners in our cities. 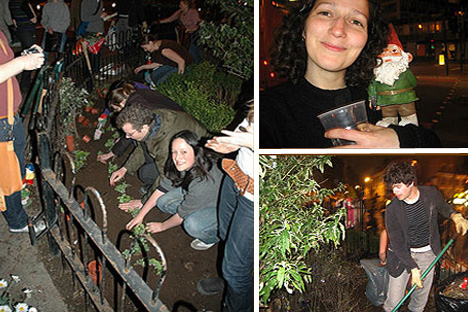 Guerrilla gardening – gardening without permission. Richard Reynolds is the godfather of Guerilla Gardening in London, and his site guerillagardening.org has lots of tips and resources. Pothole gardening is a speciality sub-craft. 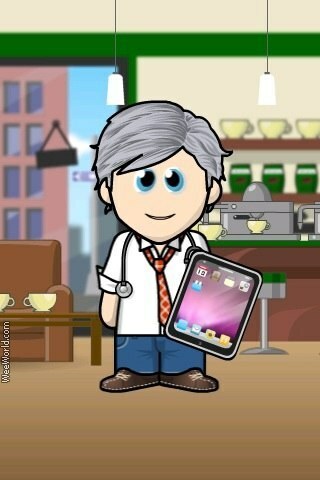 There are no shortage of potential pothole plots to decorate – as the potholegardnener.com demonstrates in his blog. You may like to note two big days coming up in the Guerilla Gardening World. Tomorrow, April 29th is a public holiday in the UK. 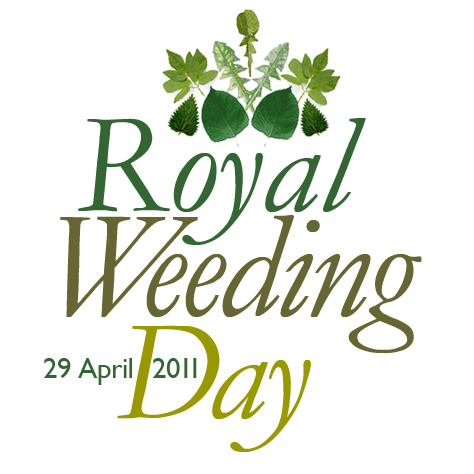 It is a day for celebration – Royal Weeding Day. 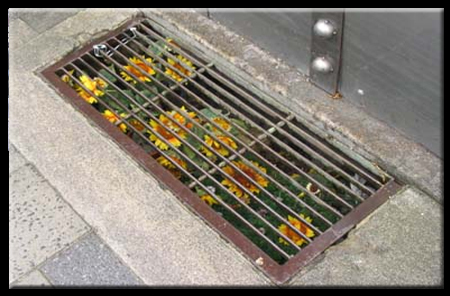 Then May1st is International Sunflower Guerilla Gardening Day. Do your bit to add some colour to your neighbourhood. 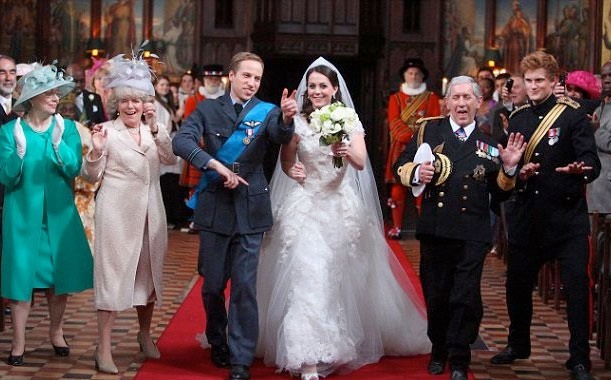 Here at WILT we have acquired an underground copy of a secret video of the dress rehearsal for the Royal Wedding. We believe it is our duty to do the Julian Assange thing and make it available to all. 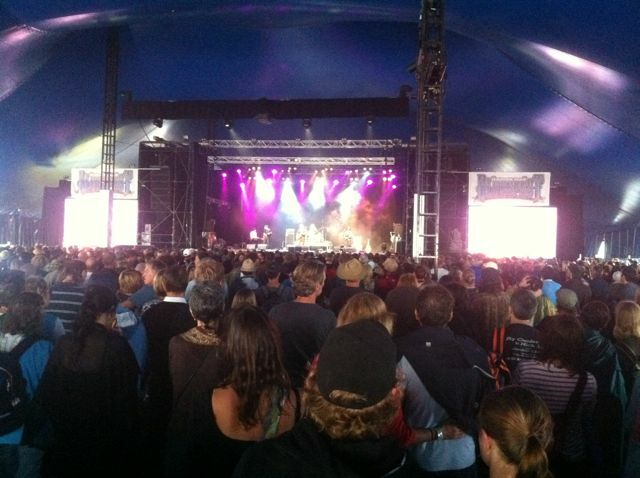 The 6th and final night of the Byron Bay Bluefest featured Bob Dylan, Paul Kelly, Gurrumal and Elvis Costllo – as well as Bryon’s traditional Easter rain. 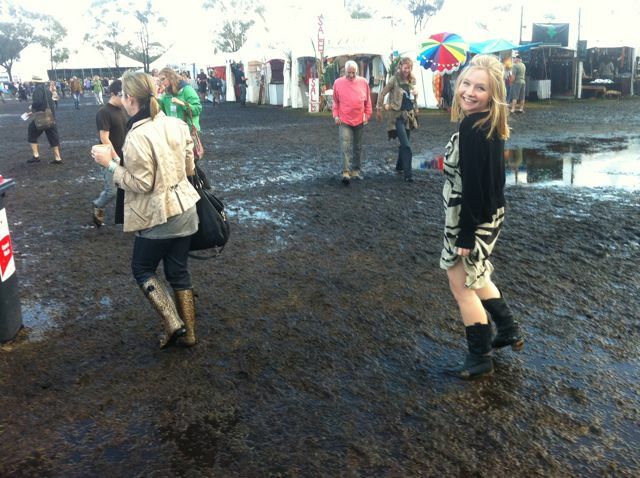 Gumboots were again the fashion item de rigeur – 20000 people each day leaves a toll on the Tyagatah fields. 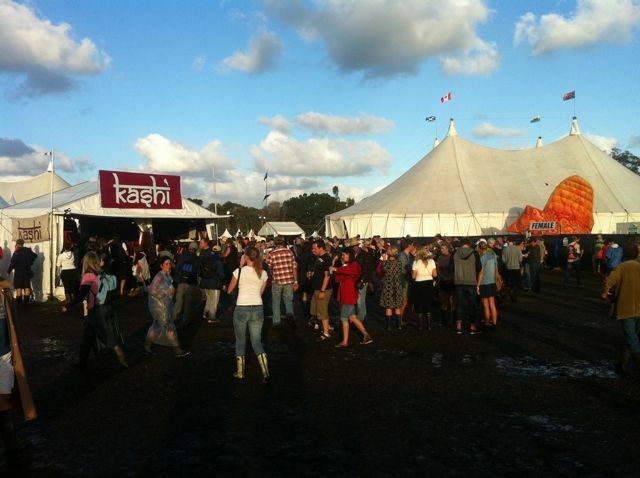 Walking through the mud is half the fun. 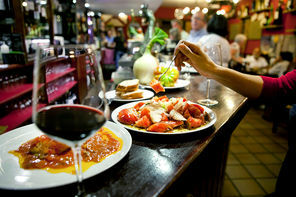 As it is each year, the organization of the event is meticulous. Four tents host performers at any one time, so one needs to navigate the program carefully to ‘tick off’ those acts you are keen to say. Today was ‘crunchy’ day, according to Oliver. (he thought ‘Cat Empire’ were the pick of the other days) Certainly, there was plenty of grey hair on stage, and even more in the crowd. Tim Finn played Split Enz (a hectic “I See Red” closing the set). Leon Russell looked exactly like Santa Claus as he played Southern roots. 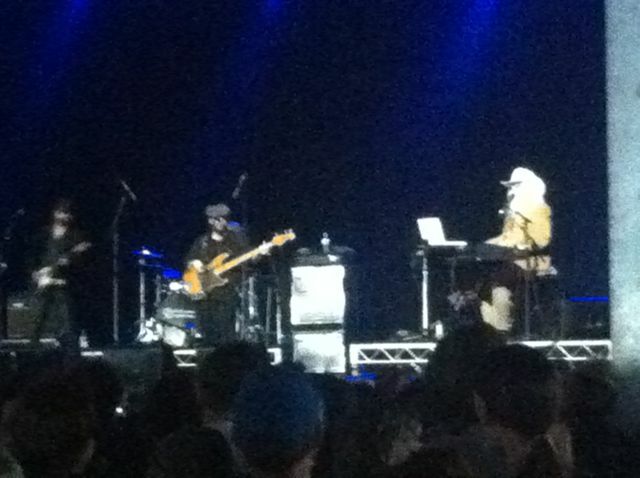 Paul Kelly was accompanied by Vicka and Linda Bull – bonus. ere remains the consummate story teller. Gurrumal played guitar and piano and sung beautifully. In 2004, Rolling Stone Magazine selected the top 500 songs of all time. Bob Dylan has 13 entries, including number one (‘Like a Rolling Stone”) and number fourteen (“Blowin’ in the Wind”). This is the third most entires of any artist, (after the Beatles and the Stones). 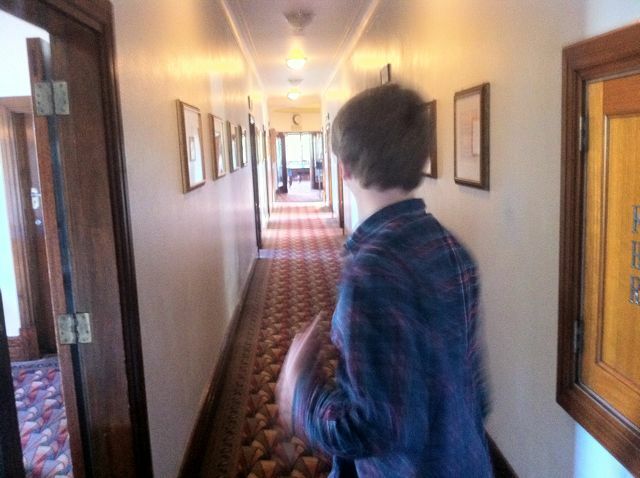 In Toby Creswell’s book ‘1001 Songs’, Dylan has 26 entries – second most. 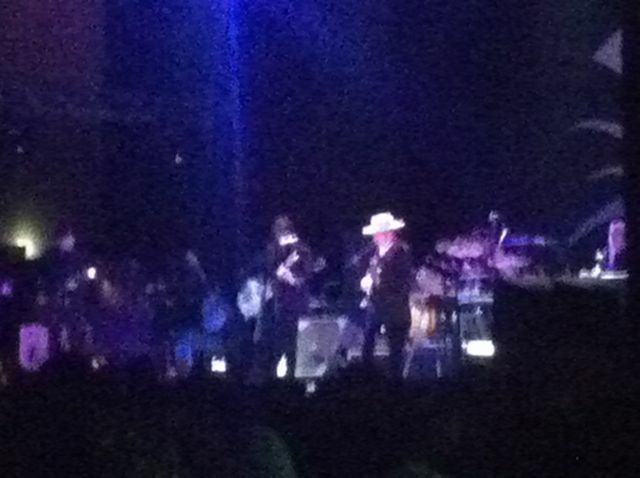 So it was very cool to have Bob Dylan close the festival. If Dylan’s voice was gravelly when he was 20, it is much more so now that he is almost 70! The comment was made that for someone who is famous for his lyrics, they are now impossible to understand. (Alex thought he sounded like Scooby Doo). He and his band took the ‘Blues’ in ‘Bluesfest’ seriously, and played high energy electro-rock blues with serious skill. 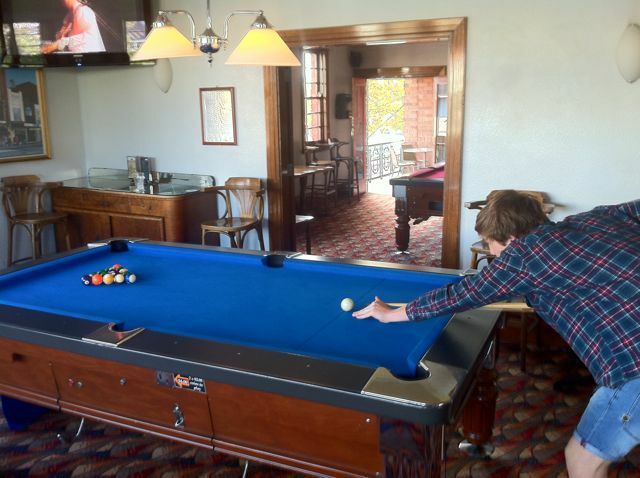 Not an acoustic guitar in sight! 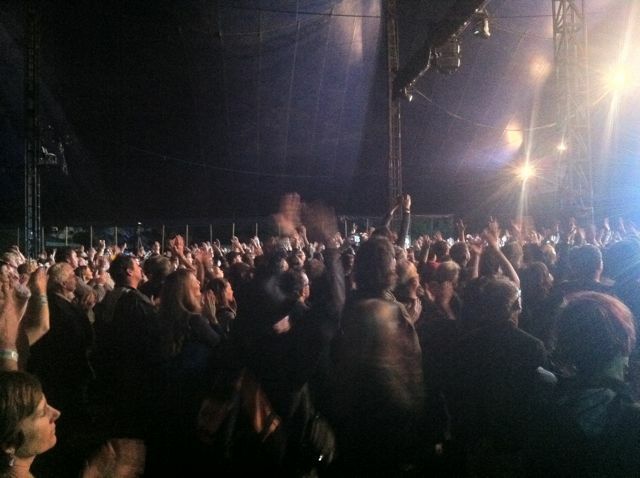 The aforementioned ‘Like a Rolling Stone’ closed out the show, and we returned to get bogged in the car park. Tickets are already on sale for next year! Did you get the sauna rocks?